Create a good first impression, improve the look and feel more secure with long lasting, low maintenance UPVC Doors for your home. There is also a wide selection of designs, you can choose from many variations of double glazed glass panels or choose a solid door. 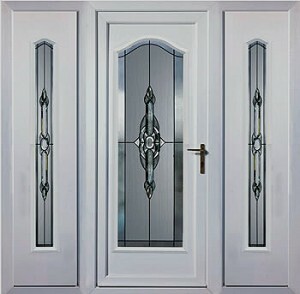 uPVC front doors come in all shapes & sizes, with top panels, side panels, double side panels to name but a few. Known for their low maintenance and energy efficiency, they are also very secure and proof from even the most determined unwanted visitors. 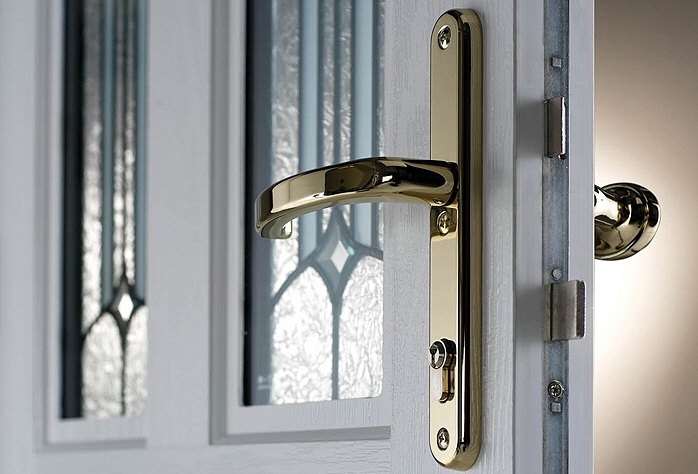 Glass panels can be clear, patterned or even leaded to add extra style & there is also a huge choice of door furniture to help individualise your front door. uPVC Front Doors are known for their low maintenance requirements, all you really need to do is wash then with soapy water when they get dirty & lightly oil the moving parts occasionally – no hours of sandpapering & painting every few months to keep them in good shape. The doors are very strong, with steel reinforced frames and even the centre sections can have reinforcing built in – 5 lever mortise locks and multiple locking points with triple mounted hinges add extra security & peace of mind. You can also find them in a range of colours, even with wood effect finishes to give the doors a more traditional look. You should look to install bi-fold doors that meet high standards of thermal efficiency and have a rating label from the BFRC. – You can find out more about energy ratings from the BRFC here or if you want to know more about prices for installing new doors for your home, we can find you up to 3 certified installers to provide free, no obligation written quotes. Find Great Deals on uPVC Doors Prices.